Still Image of the employees in the perching weave room in the mill in the early 1900's. 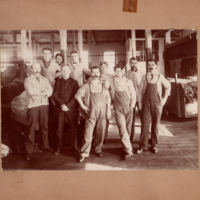 Left to right: James Keller, Frank Johnson, Thomas Wright, Harry Brooklyn, William McAuslin, Hiram Parkin, August Moynihan, Herbert Whitehead, and __ Smith. 10 x 7.5 inches, one copy; 4.25 x 3 inches, two copies. 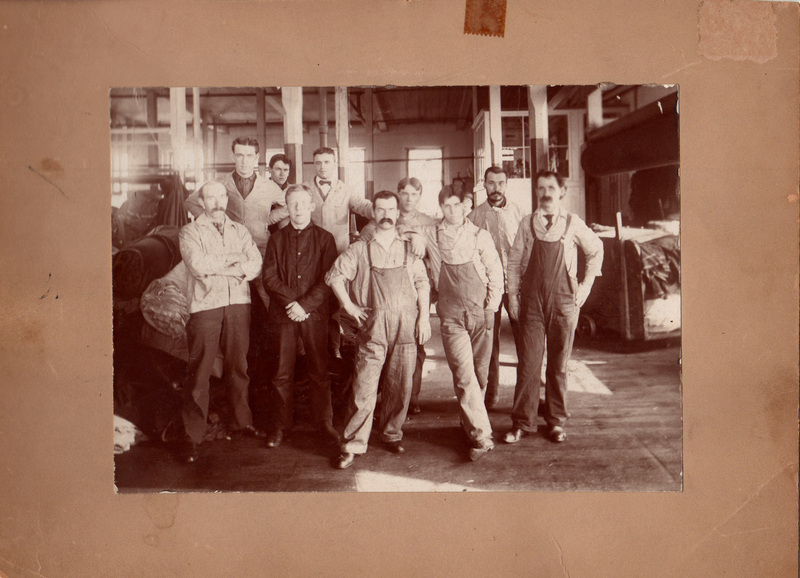 “Weave Room Employees - ca 1900's American Woolen Mills,” Maynard Historical Society Archives, accessed April 23, 2019, http://collection.maynardhistory.org/items/show/3374.